This isn't an error as such, what this means is the app you are using to scan the pass is using it's own 'built in' browser to visit the pass link. The problem is that this browser does not know how to handle .pkpass files in the same way as the main browsers like Chrome and Safari for example. 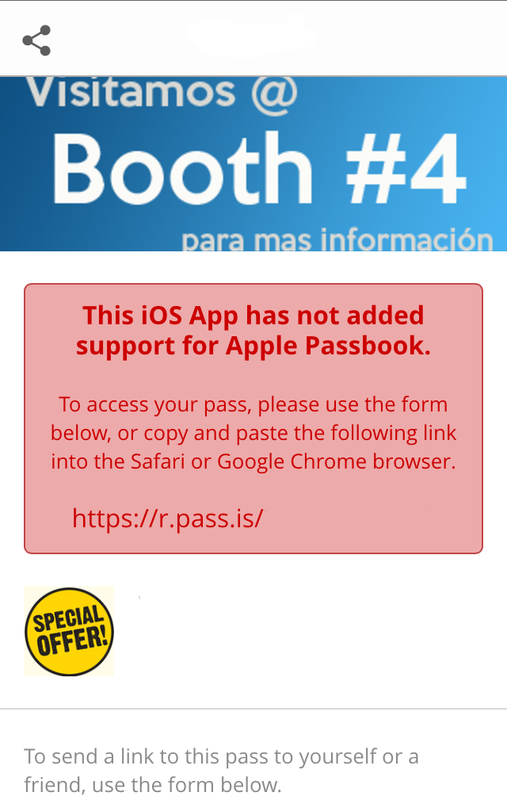 When this happens normally the user will be presented with a blank screen, so we now display the message you are seeing so the user can still download their pass using a supported browser, either by copying the link or by sending themselves an email with the pass link using the form. Otherwise you can use a scanner that supports Passbook like Manatee Works Barcode Scanner.